February 1, London, UK & Philadelphia, Pennsylvania, USA - Frameworx has partnered with US based bvoip, a leading channel-only VoIP service company, to expand its coverage in the UK and Ireland. Frameworx provides consultancy, global distribution services and venture capital to software vendors seeking to establish themselves in international markets. The company helps Technology Service Providers (TSPs) improve ROI and efficiency by identifying the best solutions for their objectives. bvoip provides a range of cloud unified communications solutions designed to be leveraged by TSPs and their immediate client bases. 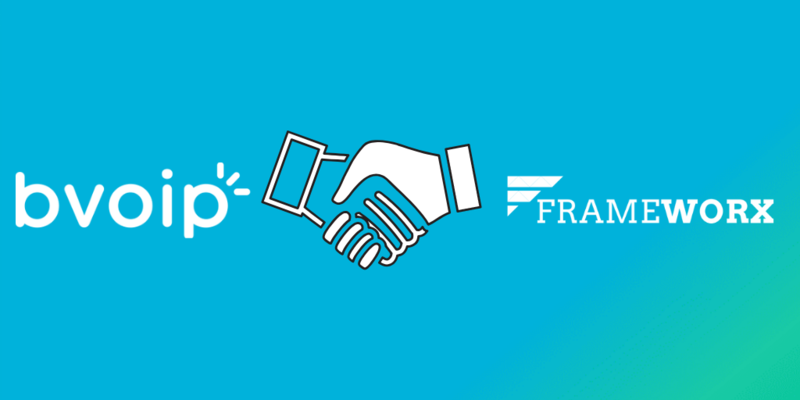 This partnership will see Frameworx grow bvoip’s market presence internationally, expanding its coverage and driving revenue. bvoip has developed a centralised voice management platform for TSPs to easily maintain Cloud PBXs and remote phone endpoints from a single pane of glass. It has also tied in seamless platform integrations to PSAs and CRMs to integrate line-of-business apps into its telephony platform.